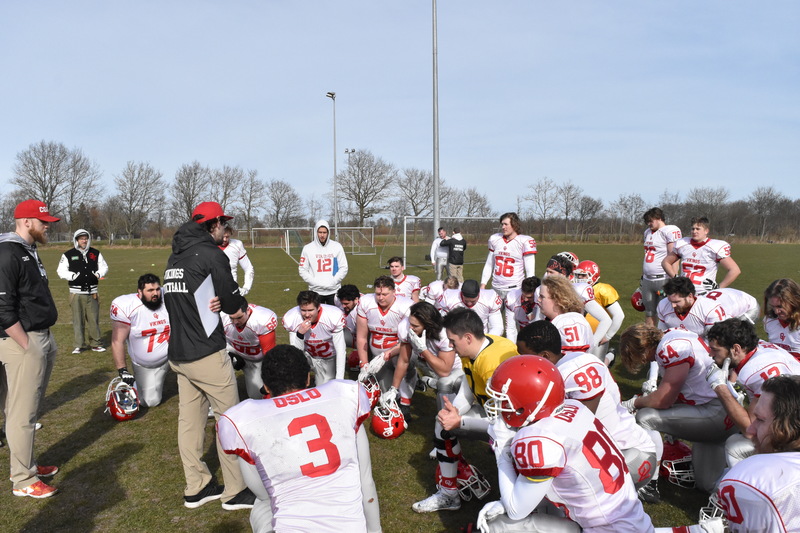 Over the past weekend March 23rd-25th the Oslo Vikings Elite team traveled to Denmark and Aalborg for a friendly match with the Aalborg 89èrs of the Danish top league. It was a hard fought battle between both clubs. It certainly had the feel of a regular season game. Both teams were playing with heart and passion. It was a great learning experience and test for the defending National champions of Norway. The game started with both teams exchanging touchdowns on their opening drives. 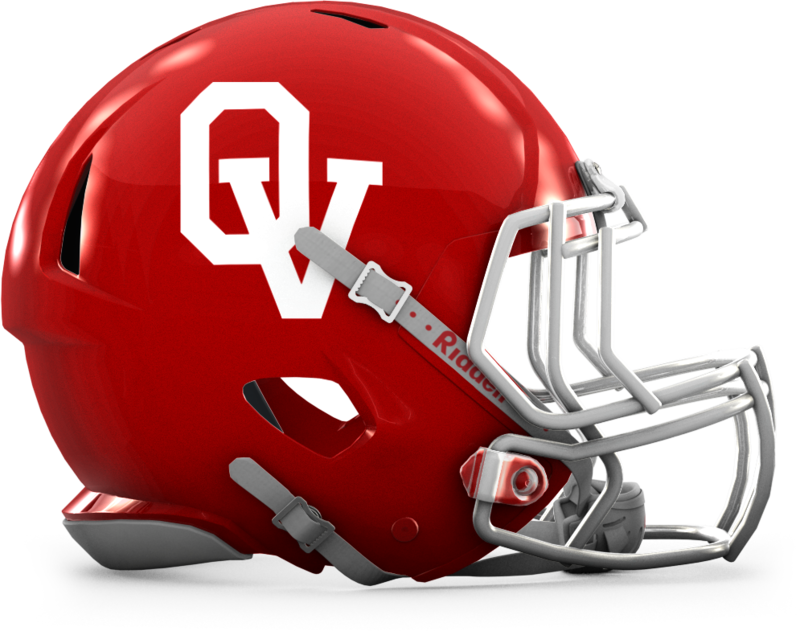 The first Oslo Vikings touchdown drive was capped off with a 8 yard run form running back #3 Lorenzo Proctor. Proctor went on to have a monster day behind an Offensive line that was creating holes all over the field. The Vikings second touchdown on the day was ran in untouched from 10 yards out from #22 Jesper Haug Jorgensen who like Proctor, also had a big game on the ground. Defensively Vikings were lead up front by Defensive End Thomas Sundby. Sundby picked up where he left off last season. He recorded multiple sacks on the day. He wasn’t the only stand out on defence. Linebackers Kim Erik Schaanning and Andreas Lid were all over the field making plays and tackles against the run and pass game. In the Secondary the Vikings had 5 first time starters in elite compitition. It was a great experience for the secondary. They had a lot of work and they showed great strides of improvement throughout the match. 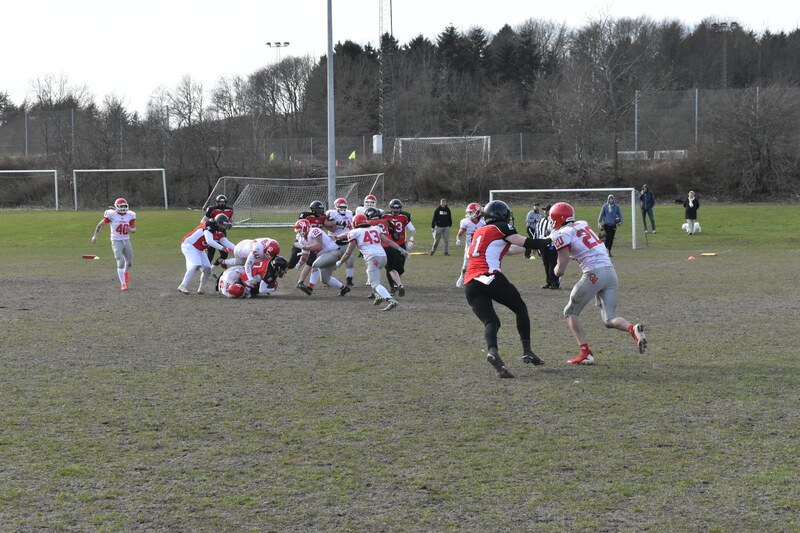 The Vikings 3rd touchdown on the day was scored by corner #84 Andreas Berglihn on a fumble recovery scoop and score forced by linebacker #44 Andreas Lid. All in all it was a very successful trip for the Vikings on and off the field. These away preseason trips are meant not just for the football experience, but also for coming together as a team and bonding as a group to get ready for the regular season. 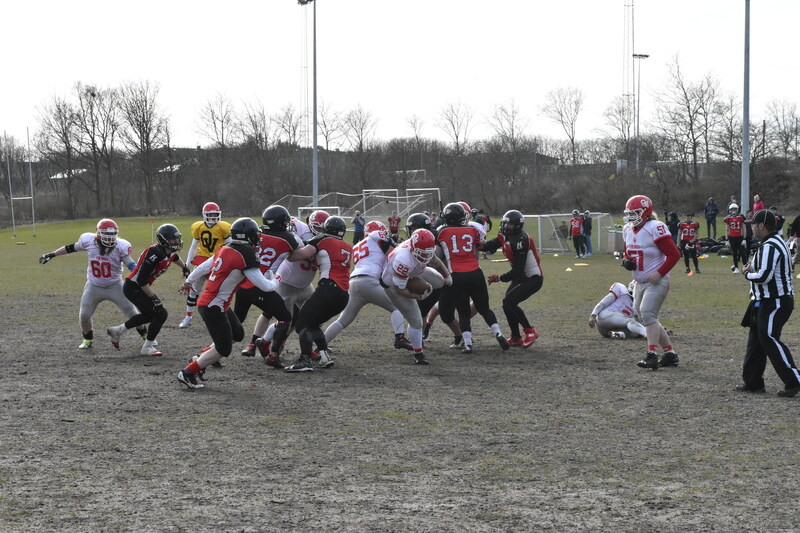 The Oslo Vikings first test this season for the senior level is a match for our Second Division team Saturday April 22nd at Frogner stadium vs the Vålerenga Trolls at 12:00. Our Senior Elite program kicks off their season Sunday April 30th vs the Lura Bulls in Stavanger at 16:00. 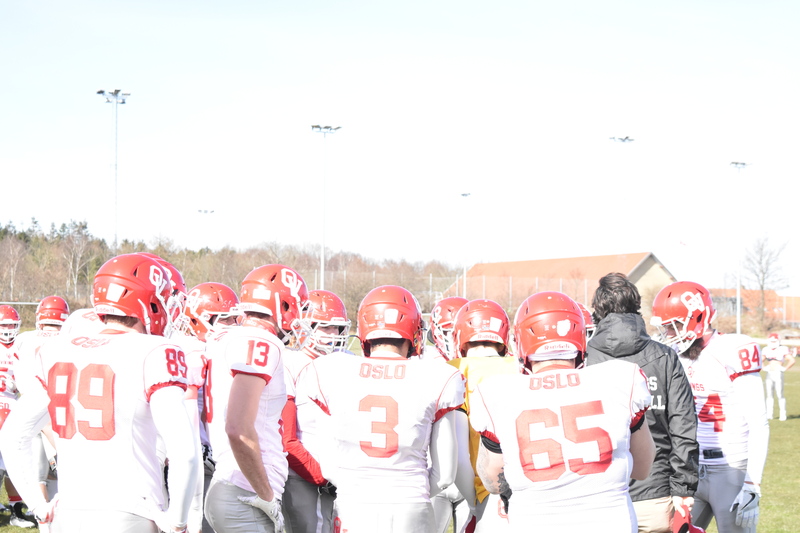 Please keep following the Oslo Vikings for more updates via Instagram, Facebook and of course here on our website. We look forward to seeing you all on social media and at Frogner stadium this upcoming season! !